Carol Dorf has recent poems in Vinyl, Qarrtsiluni, Sin Fronteras, Spillway, Canary, Magnapoets, Conclave, The Barefoot Review, OVS, Fringe, and Poemeleon. She teaches math and is poetry editor of Talking Writing. 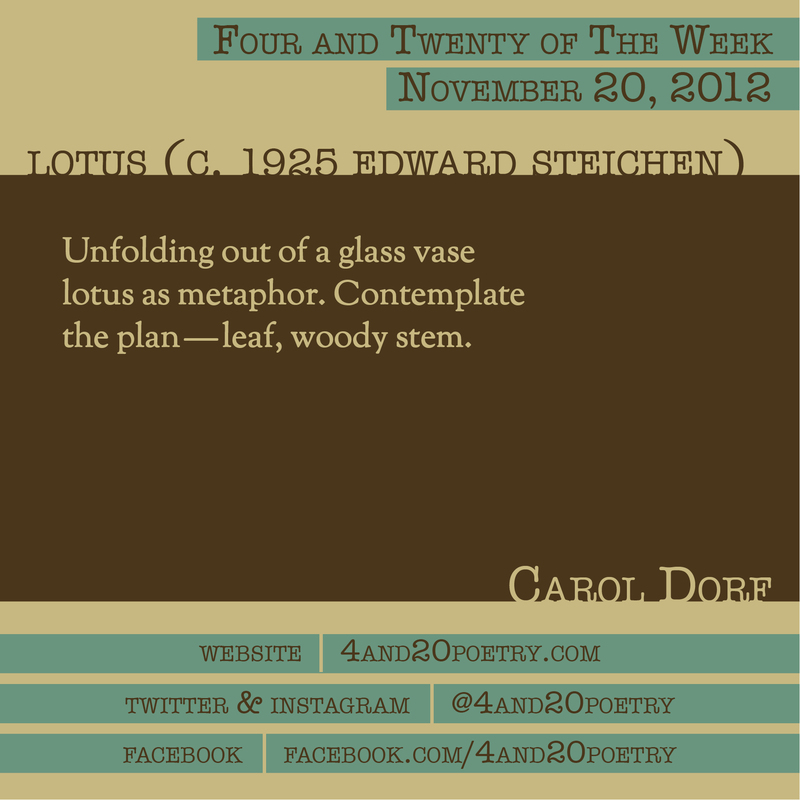 This entry was posted on Tuesday, November 20th, 2012 at 4:20 am and is filed under Four and Twenty of the Week, Micro Poetry, Poetry. You can follow any responses to this entry through the RSS 2.0 feed. Both comments and pings are currently closed.